The third (and final?) installment of this ridiculous video series from April and Wayne Show is here. 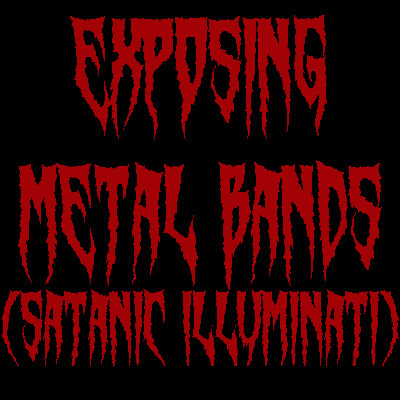 We’ve provided you with a look at their two previous segments where they’ve rambled on with illiteracy about metal artists selling their souls to the devil and joining his metal army and blah blah blah. Now, April and Wayne Show are at it again, delving deeper into the lyrical content from bands like All Shall Perish and Cannibal Corpse as well as criticizing fans’ tattoos and some of the bands’ music videos. In their first video, April and Wayne state that, “These demons not only control artist’s performances, but enhances their skill…” If this is the case, then for us fans, I say, stick with these demons and continue to melt our faces! This video is pretty much the same as the first two, albeit much shorter in length. You can watch Part 3 after the break but if you wish for even more entertainment, read some of the video’s comments on YouTube.